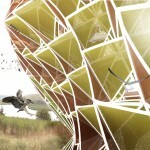 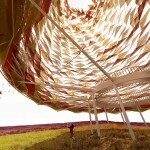 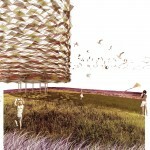 Skyfill is an energy generating infrastructure and participatory energy park on the site of a former landfill. 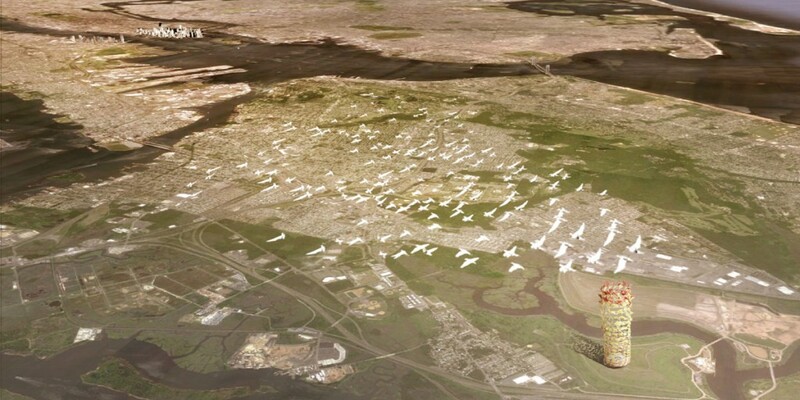 Since the end of landfill operations at Fresh Kills, the skies above the land are empty and quiet, voided of their former activity, where circling seagulls were once prescient harbingers of the city’s effort to rid itself of waste. 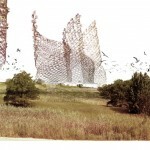 The project activates the site’s dual character, through the imaginative restoration of the park as an engaging and productive public space, and the conservation of the collective memory of an industrial and wasteful past. 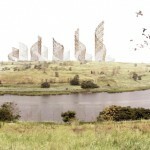 Skyfill proposes a new occupation of the sky plane, welcoming back the area’s lost avian ecology and restoring visual energy to the local skyline, reconnecting the city to the spaces of consumption and waste typically sequestered outside its consciousness. 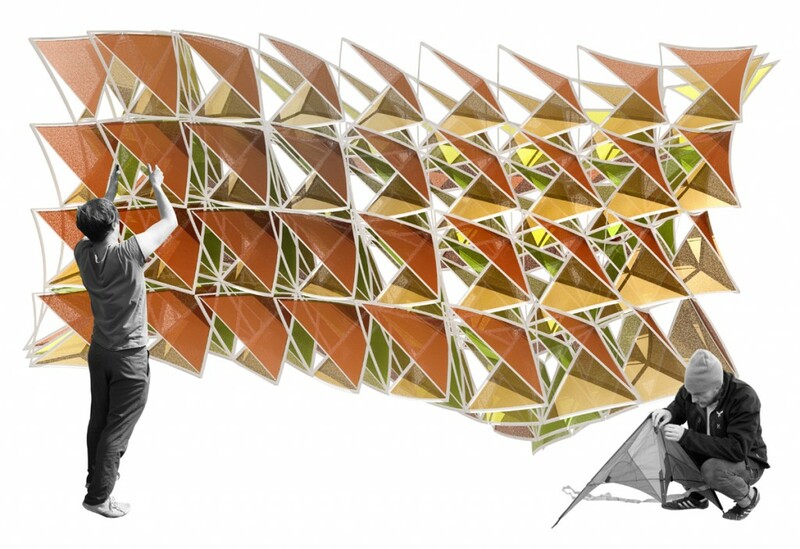 An inter-related series of flexible tetrahedral kites twists and sways in the breeze, efficiently amplifying the site’s latent wind energy. 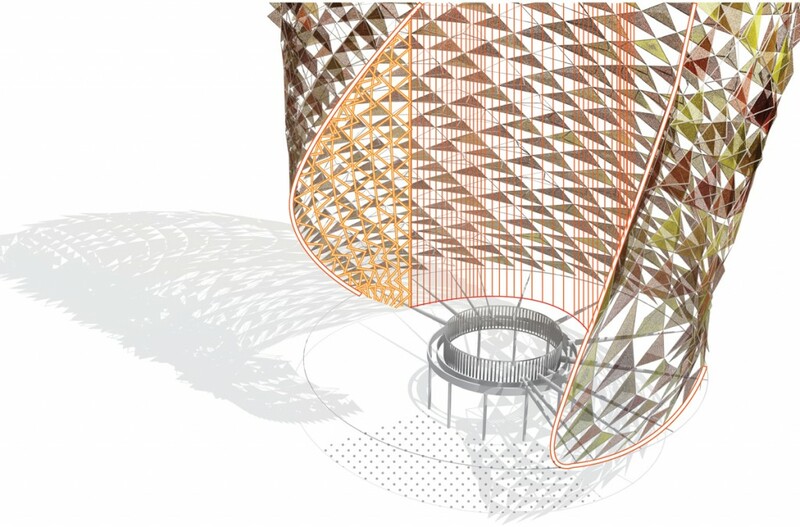 Each delicate movement is transferred into usable energy, generating enough power to support entire neighborhoods. 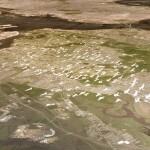 Fresh Kills is positioned on the Atlantic Flyway, a major conduit for the migration of a variety of species of birds throughout North America. 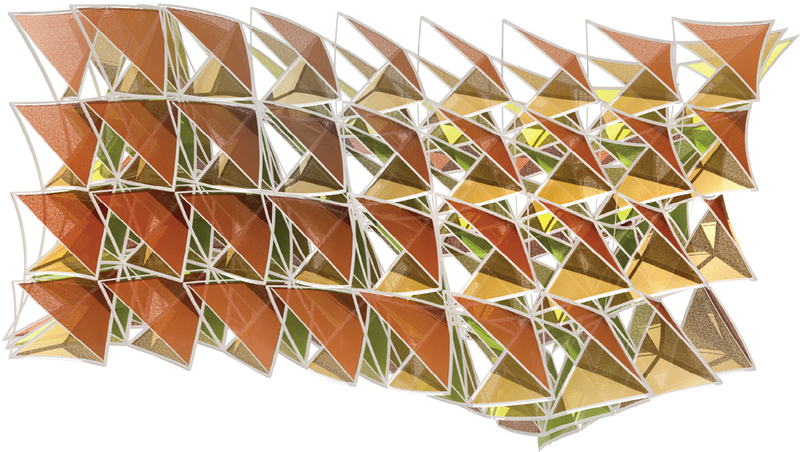 As they migrate twice a year, the birds find opportunity within the structure for short rest and long stays, its tetrahedral geometry providing splits and bends suitable for perching and nesting. 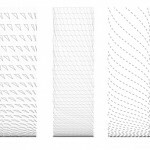 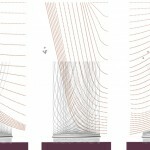 Sensors allow the geometry to expand and collapse in response to changing wind patterns, while maintaining a minimal aperture size in order to protect the nests and birds within. 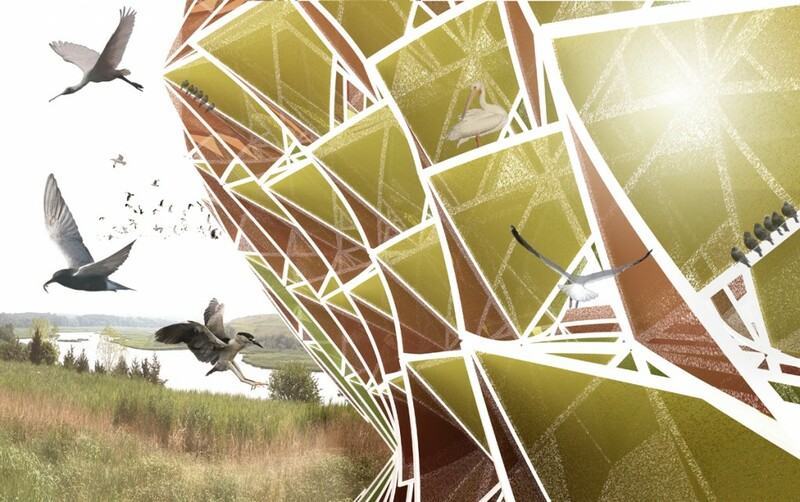 The project’s tetrahedral branching geometry simulates natural branching of trees, providing new habitats for migratory birds, and offering bird-watching opportunities for visitors. 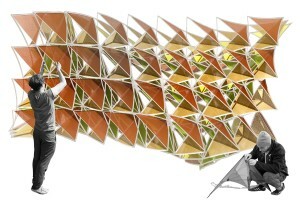 The responsive structure provides a dynamic focal point for new activities and gatherings in North Park, paired with unique participatory programming to foster an understanding of contemporary energy needs and urban waste. 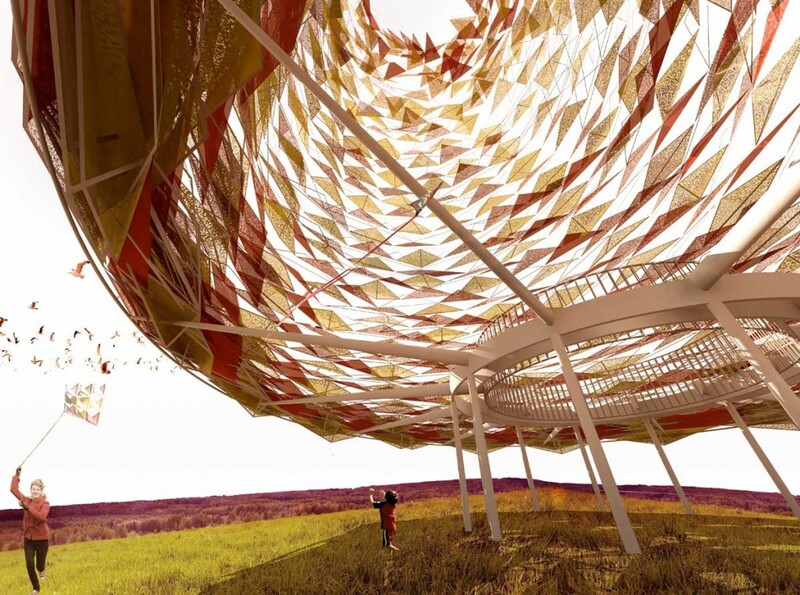 The base of the structure is a repository for publicly-available kites, providing recreational entertainment and technical guidance for kite enthusiasts, craftspeople, and children. 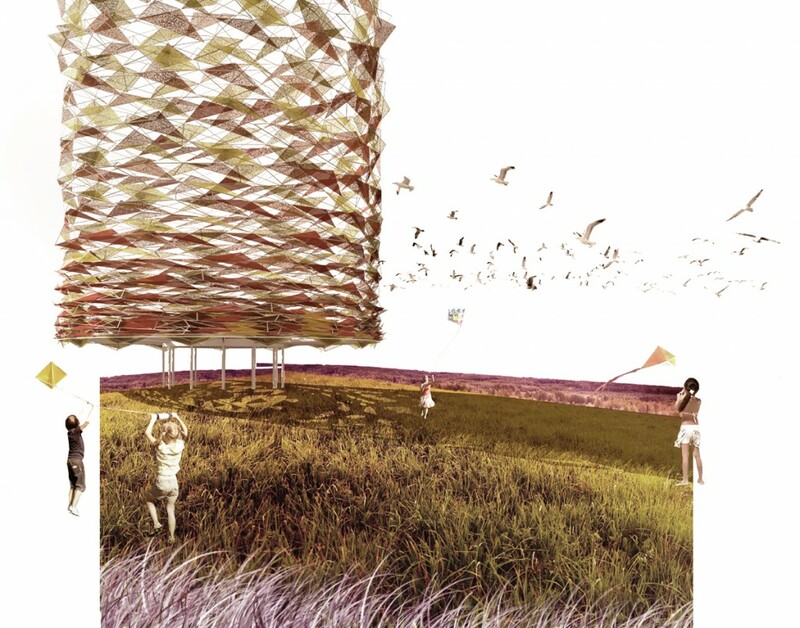 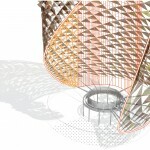 Visitors may borrow kites to fly, and appreciate the dynamics of wind patterns while seeing it reflected by the movements of the energy-generating superstructure above.